Check out this heartwarming video of when this guy restored his parents old Ford and gave it back to them as a surprise. It seems like, if there is one thing in our lives that we can attach memories to, it would be a car. For many people, they just use a car to get from one place to another but for enthusiasts, we can see a car as a lot more than that. Not only is it a means of expression but also something that, before you know it, you can associate with a whole period of your life – if not your entire life. It happens to be something that can be used to store memories and offer up a sweet sense of nostalgia after all that you have been through with your machine. For these folks, unfortunately, their Ford XA Superbird didn’t exactly live out the longest life as the car would be pretty severely damaged in an accident. Afterwards, it would be left to sit, uncovered, and rusting into the ground as the severe damage wouldn’t allow the vehicle to be driven. However, one day, the son of the owners took it into his possession and this is where the work would really begin. 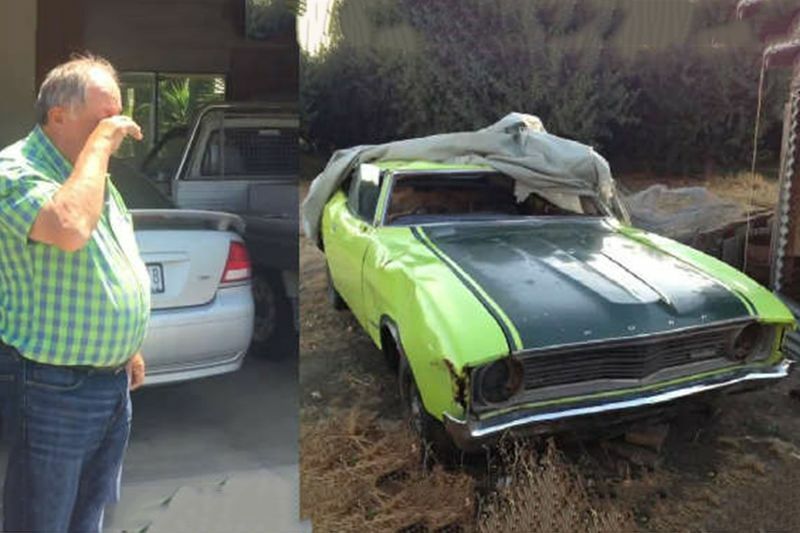 He took it upon himself to do a ground-up restoration of the car that was not only severely damaged but also dealing with a pretty good amount of rust. This is something that anyone who has worked on a car knows could be a major obstacle to bring it back to life again. Hitting play in the video below, you’ll be able to see how the car goes from a rusted pile sitting in a garage to a shining showpiece worthy of admiration. In addition to the nostalgic value in being able to bring a tear to his parents’ eyes, the car is now worth a pretty good sum of money, even though the owners say that it’s not going anywhere anytime soon and we can’t say that we blame them because, sometimes, the memories are priceless.